Urban Young actors are opening a brand new class in Leicester for 16-21s. These weekly acting workshops will be led by me and focus on acting technique. 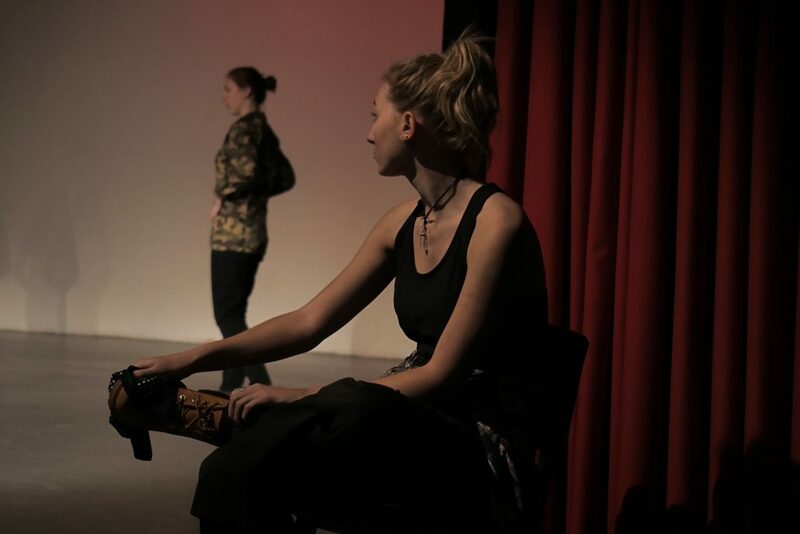 Over the year we will work on multiple projects; previously Urban have worked on plays, films, devised theatre, variety performances and many other productions. WHO ARE URBAN YOUNG ACTORS? Urban Young Actors is a leading specialist drama group in Leicester. We have been running workshops for over 9 years, catering for young actors aged 8-21. 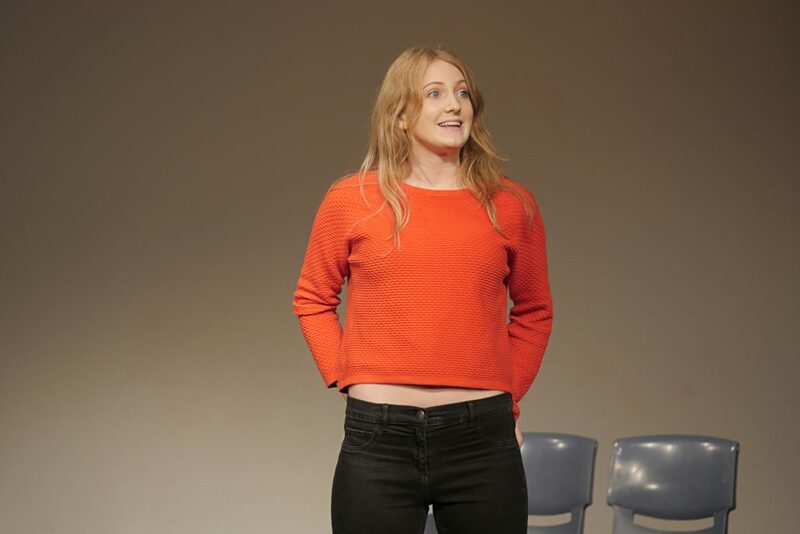 Many of our members have enjoyed success in various projects including feature films, award winning short films, plays, TV shows and voice-overs, as well as going on to being accepted at some of the top drama schools in the UK. Urban also operates as a casting agency and puts its members forward for any casting opportunities that arise. 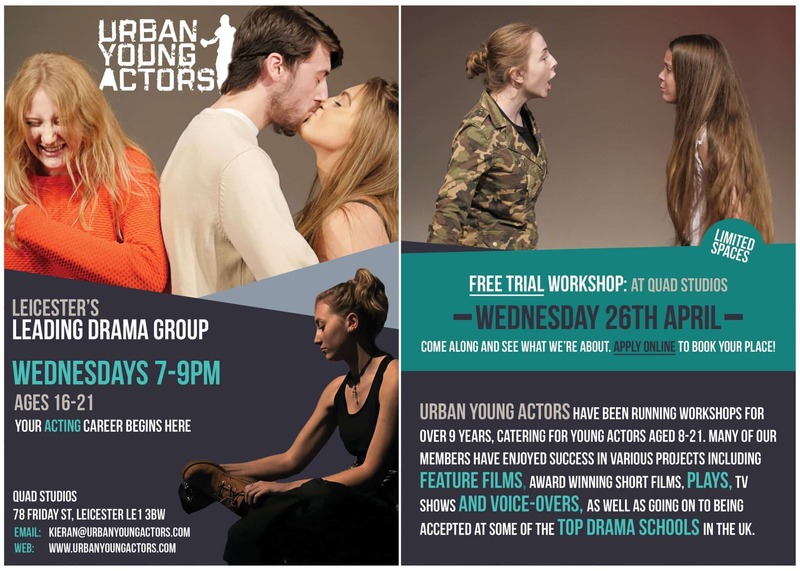 Urban Young Actors are opening a brand new class on Wednesdays at Quad Studios in Leicester. I will be leading the weekly sessions that will focus on acting technique and training. To kick things off, we’ll be running a FREE TRIAL WORKSHOP to give aspiring actors a taster of the work we do at Urban. This is a great opportunity to receive free acting training from industry professionals! All levels and abilities welcome. From May, I’ll be leading the new class every week on Wednesday 7-9pm at Quad Studios. I am currently directing at Urban Young Actors for their Christmas Variety Show which will take place on the 16th and 17th December 2016. The show will feature an eclectic mix of theatre styles and genres. The pictures below are taken from scenes of William Shakespeare’s ‘Troilus and Cressida’, performed by the 16-21 group and directed by me. Troilus and Cressida is one of William Shakespeare’s lesser known (or at least less popular) plays – I would describe it as an anti-hero, anti-romance and altogether quite anticlamactic tragicomedy. However, it is for those very qualities that I absolutely adore it and the young actors have done an exceptional job of creating a highly original and electric, modern interpretation. 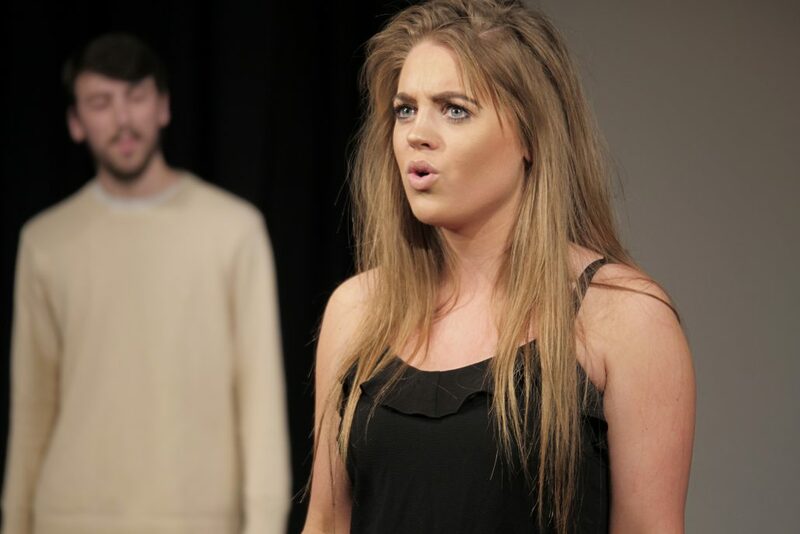 URBAN YOUNG ACTORS is a specialist, entry-by-audition drama group in Leicester. Urban have been running workshops for over 9 years, catering for young actors aged 8-21. 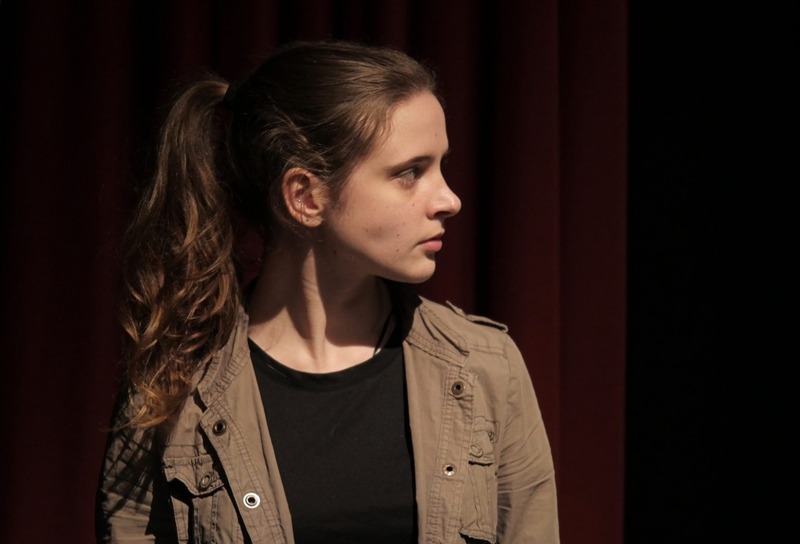 Many of their members have enjoyed success in various projects including feature films, award winning short films, plays, TV shows, and voice-overs, as well as going on to being accepted at some of the top drama schools in the UK. Kieran will be leading regular classes throughout the year and directing their over 16s show ‘We Lost Elijah’ by Ryan Craig later in the summer.